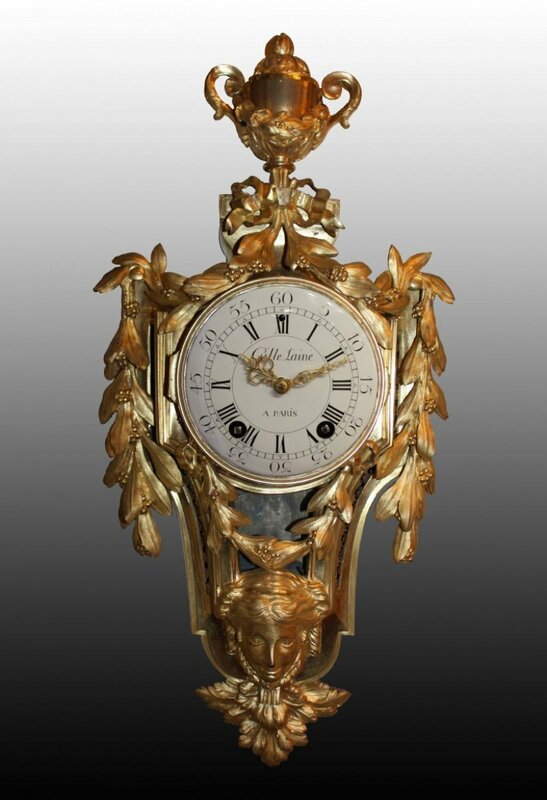 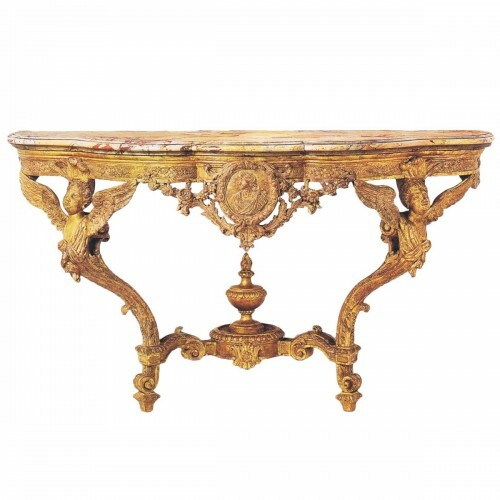 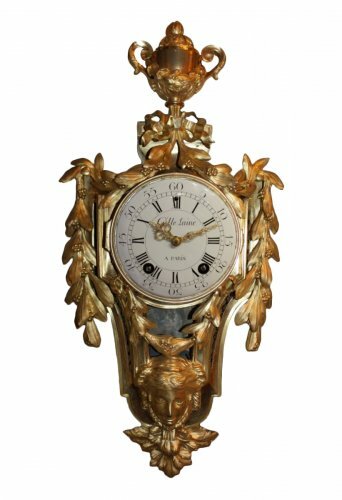 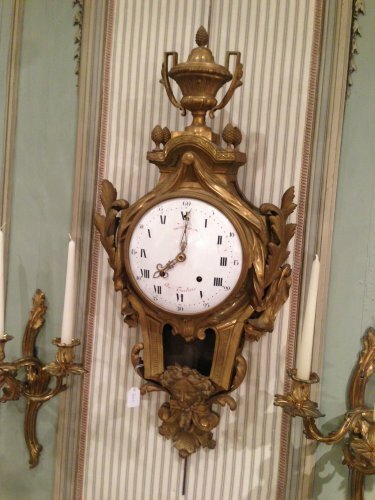 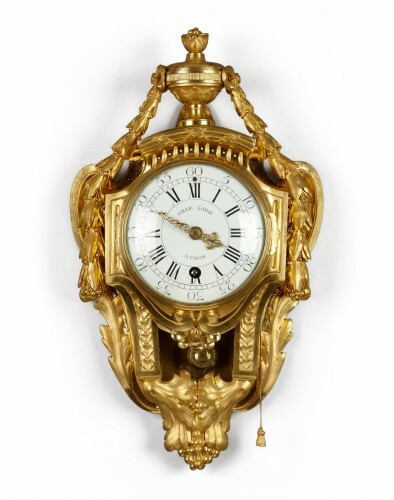 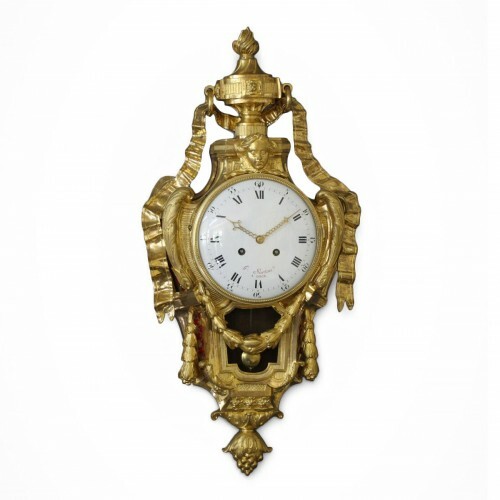 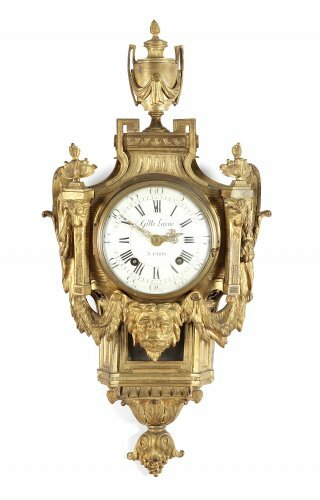 A small Louis XVI ormolu-mounted stricking cartel clock. 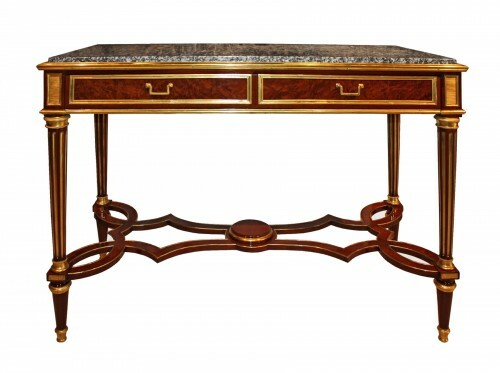 The case enriched by a Neoclassical ornamentation, with a Vase "à piédouche", knotted laurel leaves, woman mask and acanthus leaves. 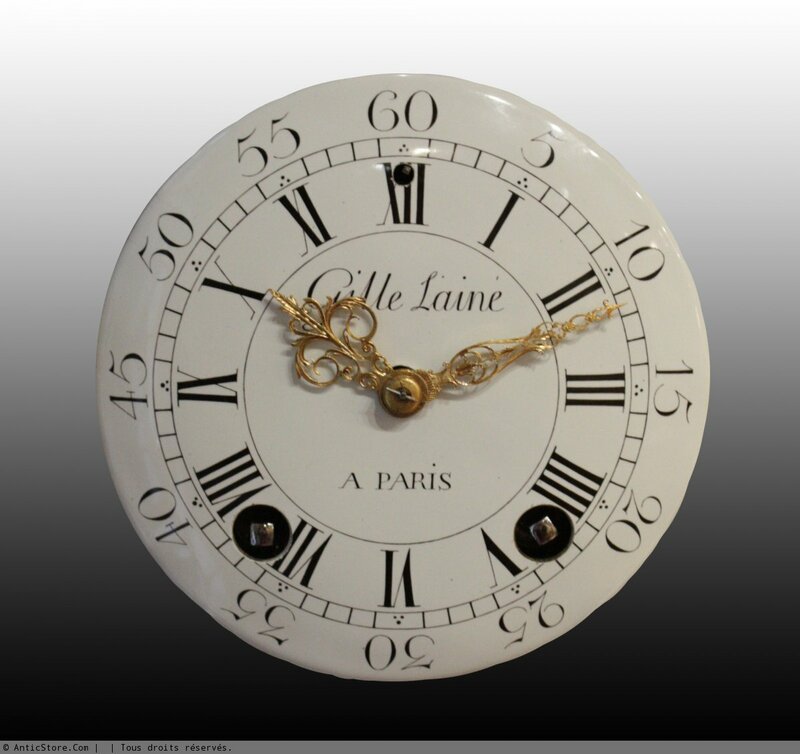 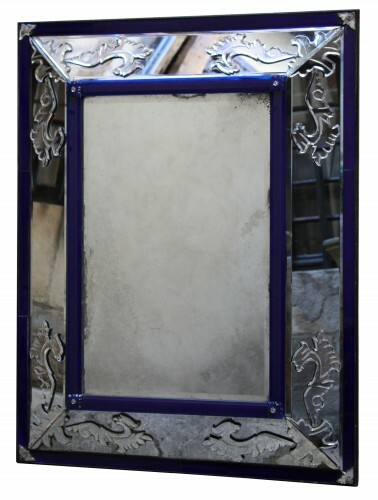 The white enamel dial signed "Lainé à Paris".